Voxbone is enabling Lexifone to launch a real-time language-translation service that combines Lexifone's innovative automated phone-interpreter technology with the superb clarity of Voxbone's voice services. Lexifone is a service, not an app, that may be used on any phone – landline, mobile or VoIP – without an Internet connection or software download. To reach Lexifone's translation bridge, users simply dial local telephone numbers that Voxbone will make available in more than 50 countries, then select the languages and the numbers of the people they want to call in 120 countries. Lexifone translates the caller's spoken language, such as French, into the language the called party can understand, such as German, and vice versa. magicJack entered into a multi-part invention rights agreement with Intellectual Ventures (IV). The transaction strengthens magicJack VocalTec’s patent position and grants access to tens of thousands of patents from IV’s portfolio. In the transaction, IV is selling a VoIP patent which was originally invented by VocalTec and then sold to an IV company in 2008 (before magicJack merged with VocalTec). IV received cash and common shares as part of the consideration for the transaction. 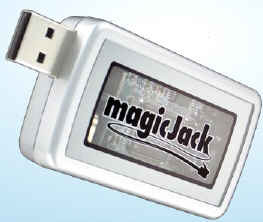 magicJack VocalTec has also become a member of IV’s strategic defense program, known as IP for Defense. By subscribing to IPFD, companies are able to access patents from Intellectual Ventures’ portfolio to defend themselves against threats of patent litigation. VoIP Supply is reinforcing Cisco’s recent announcement that Cisco Callway has become Cisco WebEx TelePresence. This means that Callway hosted video subscribers should not only get used to a new name but, also enjoy more functionality at a lower cost. Cisco WebEx TelePresence previously Cisco Callway, offers small to medium sized businesses all the business efficiencies of video conferencing without the expensive infrastructure investment. Cisco WebEx Telepresence offers a monthly subscription plan for both Cisco Telepresence video endpoints such as the Cisco SX20 or Cisco EX60, as well as Cisco Jabber for desktop or laptop video calls. Virtual PBX announces new business VoIP packages that make VoIP and advanced digital phone services affordable to companies of any size. Innovation and economies of scale within the business VoIP market have enabled Virtual PBX to reduce plan costs by up to 70 percent. In addition to its dramatic reduction in pricing, Virtual PBX is also offering the option for its customers to further reduce costs by paying for a year in advance, with annual plans starting at just $8.99 per month. Customers who choose to pay the year in advance will also receive up to 10 free VoIP phones, which include the most popular Polycom IP phones in the market. These one-year plans set Virtual PBX apart as the first major business VoIP provider to include quality VoIP desk phones and wireless handsets in high-value customer plans. SPIRIT DSP announces its TeamSpirit Engines powers more than 1 billion users of IP-communications channels worldwide. SPIRIT's calculations are based on its customers' quarter royalty reports for 2011 and public data from the past 12 months. As the largest VVoIP enabling technology provider worldwide, SPIRIT leads this market over any other VoIP provider, including popular alternative OTT providers like Skype and Google. SPIRIT's direct customers, including Apple, Adobe, AT&T, British Telecom, China Mobile, Ericsson, Huawei, HTC, Korea Telecom, LG U+, Microsoft, Oracle, Polycom, Rostelecom, Samsung, Skype, ZTE and more than 250 other American, European and Asian companies, are using TeamSpirit Engines and other SPIRIT voice and video products inside their software and hardware products to offer their customers HD-quality voice and video calls across multiple IP-communication platforms and networks. With the rapidly rising popularity of VVoIP services on smartphones and tablets, new VoIP start-ups have emerged, like Viber and WhatsApp. Viber has shown fast traction as a newcomer, reporting 70 million mobile VoIP users acquired during 18 months without any marketing budget. VoIP Innovations announced its API integration with IPsmarx multi-tenant IP-PBX and calling card platform. VoIP Innovations provides the industry’s largest VoIP DID footprint. Their DIDs’ are used by the leading VoIP Service Providers and can be easily provisioned through the industry’s leading backoffice, Titanium III. IPsmarx has integrated the Titanium III API into their platform. By doing this, IPsmarx customers can now easily provision VoIP Innovation DIDs, e911, CNAM directory and more. This functionality provides more automation in the IPsmarx platform and makes it very user friendly. With the rapid growth in VoIP services, a full turnkey solution from the best of breed providers has become more attractive. Rapid deployment and lower barriers to entry will provide a lucrative business opportunity to many that are looking to enter this field. Vonage has been awarded two new patents. The first patent — U.S. Pat. No. 8,213,594 — titled "Method and Apparatus for Placing a Long Distance Call Based on a Virtual Phone Number," granted on July 3, 2012, allows consumers to communicate to distant locations without incurring long distance or international calling charges. This is Vonage's third patent related to the use of virtual phone numbers. Vonage's first two patents directed to virtual phone numbers — U.S. Pat. Nos. 7,386,111 and 7,680,262 — were granted on June 10, 2008 and March 16, 2010, respectively. Virtual phone numbers allow people outside a Vonage customer's local calling area to call a Vonage customer for the price of a local call. Vonage customers can choose a virtual phone number in the calling area of a parent, relative or friend or wherever they want to establish a "virtual" presence. Speedflow Communications announces a completely new release of the MediaCore v3.0. It is the Carrier-grade Softswitch with integrated billing designed to VoIP wholesale providers. The new version of the Class 4 Softswitch is available starting from June 2012. The new release introduces new features and facilities reflecting up-to-date industry trends and expectations. Now, the MediaCore v3.0 offers not just dial peer routing algorithms for boosting your productivity and flexibility, but also context routing for voice providers with geographically distributed server clusters. Sophisticated and tailored routing can increase call completion for up to 15%, minimising routine workflow. Great news for VoIP providers which operate with multiple currencies. Multicurrency option is also implemented in the coming version. It allows VoIP companies to accept different currencies with no worry about conversion of price lists and balances. VoIP Supply announces the immediate availability of Cisco TelePresence Callway, a subscription-based telepresence service that is part of the Cisco Collaboration Cloud as part of their growing array of video communications solutions they now offer. Cisco TelePresence Callway is a cloud-enabled service providing small and medium-sized businesses with all the benefits of telepresence without needing video infrastructure equipment on site that requires IT experience and management, removing both the cost and the complexity of deployment. Shango has extended its Hosted PBX provisioning application to support the BroadWorks Hosted PBX/IP Centrex VoIP application from BroadSoft. This initial integration brings added functionality for communication service providers using BroadWorks, and is a key step towards enabling the complete provisioning of BroadWorks IP PBX applications: supporting its video, fax, voice, and email transactions, through a unified PaaS interface from Shango. The multi-tiered integration into the Shango platform now features the provisioning of accounts, groups and extensions for CSPs using BroadWorks, with enhanced features forthcoming to enable activation flow-through down to the BroadWorks seat-level. By utilizing an inherent multi-tenancy, CSPs will also gain the ability to simplify the process of service expansions and migrations using a single service delivery platform. snom announces a new e-learning course focused on SIP fundamentals - SIP 101. This course is the latest addition to snom's new online training program introduced earlier this spring and is available free to registered snom VARs from North and South America, Australia and New Zealand. SIP 101 will serve as a prerequisite to enrollment in the company's online snom ONE Certification Training course. Busy VARs can gain valuable, hands-on experience with all aspects of SIP, without the time and expense of traditional courses. "By enrolling in our SIP 101 e-learning course VARs from around the world can learn fundamental SIP basics online and on their own time. This course is a prerequisite first step for VARs on the path to our snom ONE Certification Training and new business opportunities created by working with the snom ONE family of IP PBX solutions," said Mike Storella, chief operating officer of snom technology, Inc.
Ingate Systems and Positron announce that the Ingate SIParator Enterprise Session Border Controller has completed successful interoperability testing with Positron's G-Series IP-PBX solutions. The SIParator E-SBC enables the secure, simplified adoption of SIP, SIP trunking and all unified communication applications. In SIP trunk installations, the Ingate SIParator combined with the SIP Trunk software module resolves interoperability issues to ensure seamless deployments with virtually all service providers' SIP trunk offerings and the Positron IP-PBX. V-Global has joined the international consortium of carriers connecting free voip calls to iNum numbers and providing iNum numbers to its customers free of charge. “iNum” stands for an international phone number assigned to the universal country code +883 by the ITU. V-Global customers can direct iNum voip calls to their devices with broadband or wifi connections to the Internet including voip phone sets, smart phones, computers, laptops and tablets. Voip phones already have software built into them that connect phone calls over the Internet while smartphones, tablets, computers and laptops use apps to provide voip calling capability. V-Global also offers its customers free apps for iPhones, iPads, computers and laptops with apps for Android and Microsoft smart phones and tablets available for a small one-time charge. Legacy phones also can be connected to the Internet through a gateway or ATA to take advantage of free iNum calls but without video screens, they will be limited to voice only calling. DIGITALK announces that JT has migrated its international wholesale voice termination service to DIGITALK Cloud. DIGITALK Cloud is a hosted carrier routing platform based on DIGITALK's advanced Session Border Controller VoIP Peering application. JT offers international voice termination services with points of presence in the UK, USA and Australia, with options for prepaid charging as well as postpaid billing. As part of an expansion of its offering, JT was looking to consolidate its routing capability and to support an extended range of carrier interconnect options, while also being able to offer attractive rates in a highly competitive market. Virtual PBX announces continued strong growth in the 15 months since the launch of its award-winning Virtual PBX Complete business VoIP solution in February 2011, citing a 49.9 percent rise in traffic though the company's hosted PBX system. As more businesses switch to a hosted telephone service, Virtual PBX expects the market to continue growing. Unlike other hosted PBX services, Virtual PBX Complete supports the blending of analog and IP telephony while simultaneously incorporating open SIP peering. The solution delivers everything a business needs to provide professional phone service for customers, prospects and employees -- eliminating the need to request analog land lines and other expensive options from traditional service providers.